How people get inspired, develop their ideas and form a body of work is something that fascinates me. No two artists have exactly the same process but I have yet to come across one who does not have a work routine - and hard work at that! 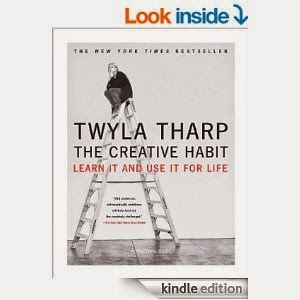 When I came across Twyla Tharp's book, I was immediately hooked. Creating a piece of modern dance is something that always mystified me. So many unique movements, the use of the stage, the interplay between bodies and negative space, all of it coming together to form a work of art. Of course, we now take a break for a little snippet of her work. Tharp constantly stresses the need for structured, disciplined work: researching a concept, refining ideas, exploring the accidental detours but remembering your core. She also cites many other artists and their creative habits, ranging from a writer to a chef, showing that all of us do share some aspects of working on our creativity while still maintaining our own distinct style. She also proposes a series of exercises for each chapter, to allow the readers to work on the concepts themselves and find their own way. I will honestly say that I did not do all of them - some got a little too out there for me! I loved her description of how a choreography is created and how it is, in many ways, a collaboration between the choreographer and the dancers. For the curious, the ladder she is sitting on for the cover isn't just a weird photo. That is where she sits during her work sessions, to have a better understanding of the use of space. It is a tool. To finish off, here is another bit of contemporary dance, by Grupo Corpo. I love how fluid their movements are and how joyful. The music isn't bad either. Metal cracks when it is over worked. In mechanics, it is called "metal fatigue" and a lot of thought goes into the design of equipment, cars and airplanes to avoid it. After all, no one wants the wings cracking off a plane in mid air or the axle of a car snapping on the road. One of the first lessons a metalsmith learns is how to anneal metal, making work hardened material flexible again and avoiding the dreaded cracks. Personally, I love the cracks. They capture something of the nature of the material. They reflect the unpredictability of nature in their curves. They are pretty. 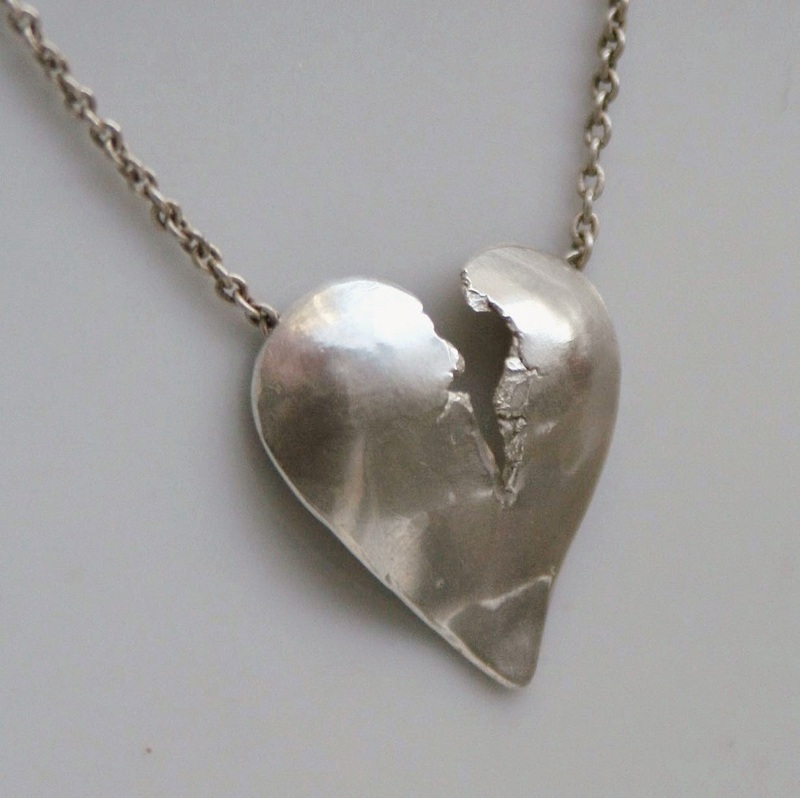 Many years ago, I forged this heart as a cathartic exercise. It is still a favorite piece of mine and it is quite expressive of that moment in my life. But I moved on, kept making other pieces and I never went back to cracking metal again. But the motif kept showing up in my sketches and in my mind. Today, I decided it was time to take it up again. I prepared some metal, cast a button and got to work. This wasn't the crack I was expecting. I wanted something more dramatic, branching out across the metal. Something that made a statement. Instead, I got an almost clean break. My first reaction was to toss it back in the crucible and start again. But this is what nature gave me, so this is what I will work with. If I want to explore an unpredictable process, I have to be willing to work with what I get.